Daljit Mirchandani graduated in Electrical Engineering from the Birla Institute of Technology, Mesra. His professional career began as a Graduate Trainee Engineer with the Kirloskar Group of Companies. Over a period of 28 years with the Kirloskar Group, his experience covered functional and leadership roles in different businesses. In 1992, he was appointed Executive Director of Kirloskar Oil Engines. Between 1992 and 1997 he set up and established the first-of-its- kind pig iron plant. 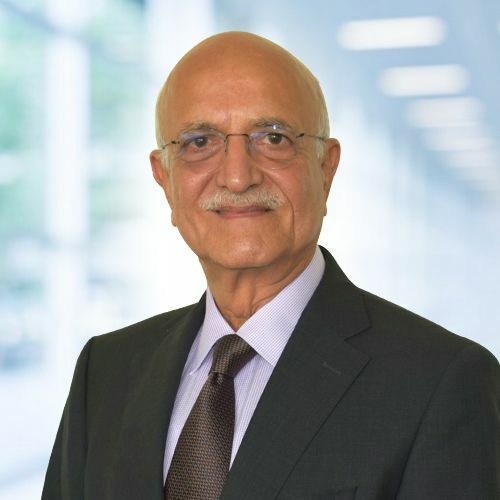 In 1998, he joined Ingersoll-Rand India as the Chairman and Managing Director. During the tenure at Ingersoll Rand India till 2008, he set up the first Global Engineering Center in Bangalore. Daljit has been the Chairman of the Karnataka State Council of CII. He has also served as the Chairman of National Task Force formed by the Ministry of Agriculture to examine and recommend policy interventions and set technical standards for the formation of cold chain infrastructure in India for fresh fruits and vegetables. At present he is on the statutory and advisory boards of various companies. In 2012, Daljit entered the social sector by setting up a foundation to partner with the Government of Maharashtra for a sustainable and replicable model to improve enrollment, retention and quality of learning in zilla parishad schools.